The Gettys Group is pleased to announce that Marriott Lincolnshire, our development, interior design and procurement project, has received the award for Most Impactful Repositioning from Lodging Industry’s Elite Awards. Supported by its own investment in addition to that of partners RFP Financial and The Bricton Group, the firm provided a key, multi-layered role in the $25 million transformation of the property. The resort, while expansive, had underutilized spaces that were expertly reconfigured by The Gettys Group, bolstering existing points of value and providing space for upgraded amenities. 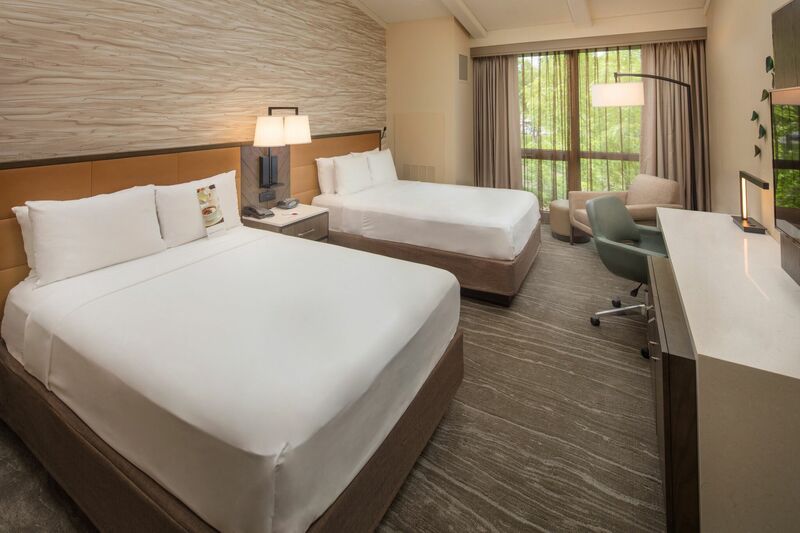 With the goal of modernizing and enhancing the Chicago-area landmark as well as increasing ROI for hotel ownership, the project teams went well above and beyond what the initial property improvement plan required to fully reposition the resort. Expanding outside of simple alterations, the team truly transformed the guest experience. In addition, Hotel LeVeque, our branding and interior design project, was a finalist for Best New Boutique/Lifestyle Hotel. The winners and nominees were announced publicly by Hotel Interactive on May 2, 2018. Find more information on the awards here.